It’s not too late to book a trip of a lifetime. Limited space is still available on Abercrombie & Kent’s voyages to Antarctica this December. For pristine landscapes, rugged scenery, end-of-the-earth remoteness and unique wildlife this is the destination that has it all. A&K’s unparalleled expedition experience is down to its more than 20 years of operations there, the extraordinary calibre of lecturer guide on each journey and its vessel selection – the state-of-the-art MV Le Boreal. Reserve a category 1 cabin on a December 2012 Antarctica voyage and save 25%. Organise a group of friends and you can all save. When you refer friends travelling with you to Antarctica on one of the December voyages in another double cabin you can save an extra US$1,000 each. Terms and conditions apply. Offers not valid for solo travellers. In the past three decades, the ship has had three names, explored the waters of two continents, was affiliated with two other cruise lines, and has experienced a series of refurbishments. This most recent refurbishment – an investment of $2 million – took place between November 2011 and July 2012. In partnership with Colombia Ecoturismo, Sea Voyager Expeditions brought the vessel up to the highest of standards and turned the Sea Voyager into one of the nicest small ships afloat today by upgrading cabins and suites, improving public areas, overhauling the galley, installing a chlorination system, and making various other changes aimed at creating a truly exceptional expedition ship that features all the latest amenities and all the comforts travelers expect . . . and more. 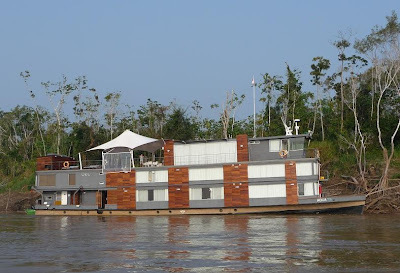 As newcomer Sea Voyager Expeditions gears up for its launch on Aug. 31 – when it begins taking guests to explore the remote waters, beaches, jungles and cities of Colombia, Costa Rica, Ecuador and Panama – one of the most exciting parts of the company's story is tied to its vessel, the M/V Sea Voyager. Built as an expedition passenger vessel in 1982 by Chesapeake Shipbuilding in Baltimore, Md., the Sea Voyager has a varied history that ultimately led to its latest $2 million renovation, aimed at providing unmatched comfort for 60 guests and 31 crew members during expeditions that last from seven to 12 nights. 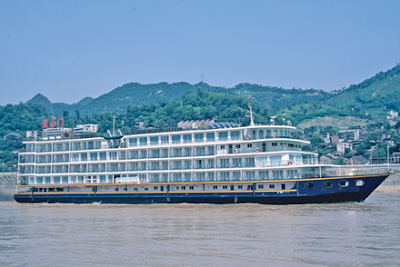 For passengers who want to be among the first to experience the refurbished vessel, Sea Voyager Expeditions is offering special deals that apply on almost all departures between Sept. and Dec. 2012, with savings from 25 to 35%; discounted fares are $2,460 to $5,588 per person, double. Solo guests also win with no supplements, paying the same price as those booking as a couple. In the cabins, all mattresses, bedding, pillows and curtains were replaced, and all suites now boast new couches, decorative lighting and original artwork. Bathrooms were retiled and resurfaced, and new plumbing and fixtures were installed to enhance both the beauty and function of the facilities. With an eye on ways to respect the environment that's the focal point of these expeditions, the ship now uses filtered sea water for toilets so that fresh water can be preserved. Each cabin has individual controls for air conditioning as well as an oscillating fan; in fact, the entire ship is air-conditioned and maintains a comfortable environment regardless of what temperatures might be like in the tropics just a few feet away. Seeing what's happening in that tropical environment is much easier now, through a window-lined lounge that provides a 270-degree viewing perspective. Silhouette shades partially block the sun's rays or instantly transform a social facility into a learning facility, where the ship's team of five naturalists can educate guests about the wildlife, history and culture of the destination they're exploring each day. The loading deck, nicknamed "The Marina," is home to five new hard-bottom Zodiacs and a fleet of one- and two-person kayaks. Here passengers will find themselves less than a foot away from the water, allowing easy access to smaller vessels … or simply an opportunity to jump in or climb down a short ladder for a refreshing swim or snorkel. The vessel has been brought up to the latest SOLAS (Safety of Life at Sea) requirements and has passed the stringent Classification Certification to ensure the highest standards of safety. A new water chlorination system brings the ship in line with standards required by the World Health Organization and Centers for Disease Control (as required in the United States, even though the vessel won't be visiting U.S. waters). An overhaul of the galley resulted in the upgrade of all refrigeration equipment, dishwashing units, ovens and appliances, ensuring that the facility complies with or exceeds worldwide standards for public health and proper foodservice operations. Sea Voyager Expeditions is committed to delivering quality guest experiences, being the leader in tropical expeditions, and preserving the countries the Sea Voyager visits. Details about the ship and all its itineraries can be found in the Sea Voyager 2012 Special Edition brochure, available on the company's website. Sea Voyager Expeditions' North American sales agent is Global Voyagers Group of Bellevue, WA. Further information, reservations and brochures, both printed and electronic, are available from travel agents or via Sea Voyager's visitor-friendly website, www.seavoyagerexpeditions.com; by phone at 888-912-2572; or via e-mail at info@seavoyagerexpeditions.com. eCruising group of companies are now an Australian representative of niche cruising operator InnerSea Discoveries and American Safari Cruises with their new partnership, which began on July 1. Known as the Un-Cruise company, InnerSea Discoveries and American Safari Cruises have been operating since 1997 and have a fleet of six vessels which carry from 22 to 86 guests. They specialise in adventure voyages in Alaska, the Colombia and Snake Rivers, Hawaiian Islands, Mexico’s Sea of Cortes and Washington and British Colombia. Founder and chairman Brett Dudley said they were very excited to have Inner Sea Discoveries on board to widen the range of product that ecruising offers the Australian market. He adds, “Representing InnerSea Discoveries adds another dimension to our range and fills a gap for adventure small ship cruising. We were looking for another luxury adventure product to replace Cruise West after it closed down and this will be a perfect complement to our existing cruise options”. Captain Cook Cruises and SeaLink Travel Group have today released its new Murray River & South Australia brochure. The new brochure coincides with strong bookings on the Murray River with bookings up by 10% when compared to this time last year. The glossy eight page brochure, titled 'Discover Murray River, Adelaide and Kangaroo Island South Australia' gives an in-depth look at river cruising in Australia, the facilities, accommodation and deck plans of the Murray Princess - the largest inland paddlewheeler in the Southern hemisphere. For the first time Captain Cook Cruises Murray River brochure also includes touring experiences on Kangaroo Island, in the Barossa, around Adelaide and the Adelaide Hills. "We are thrilled to release our first domestic South Australian brochure showcasing two Australian icons - the Murray River and Kangaroo Island." said Anthony Haworth, General Manager for Captain Cook Cruises. With the Murray River water levels remaining high Captain Cook Cruises has experienced significant growth in bookings over the past year and expect bookings to increase further after their stateroom upgrades are completed this year. "We are experiencing a very exciting year for the Murray Princess, with passenger loads at all-time records and a major refurbishment planned over the next twelve months. This will only add to the Murray Princess's allure and grandness." explains Mr Haworth. Adventure specialist Kumuka which ceased trading last week has apologised to passengers booked to travel. It said all tours leaving up until yesterday would go ahead but anyone booked after this date would need to re-book with another operator. Administrators have been called in and rivals Dragoman and Tucan have offered discounted rescue packages. The Surrey-based overland truck operator, which covered Africa, Asia, Antartica (with MV Ushuaia), Latin America, North America, Europe and the Middle East, was established in 1983 and claimed to carry over 12,000 clients a year. 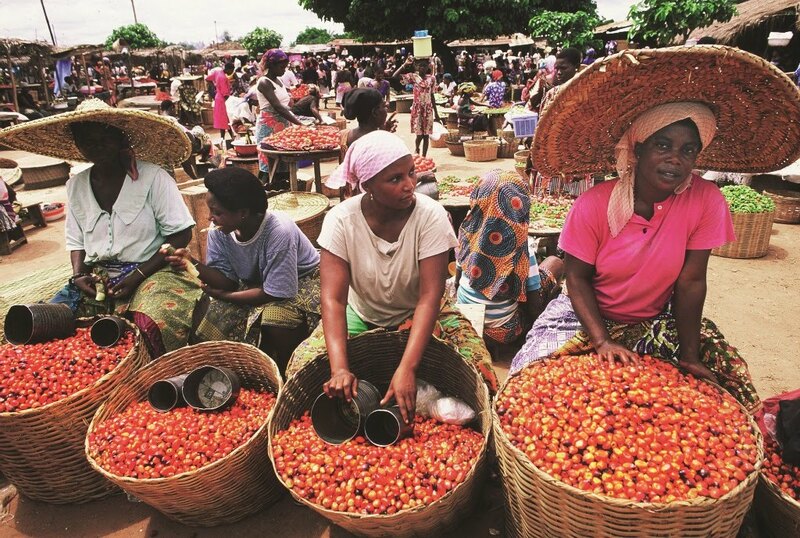 Its website said: "We are sorry to announce that Kumuka has ceased trading. We apologise unreservedly to all Kumuka passengers and we are working hard to respond to all enquiries." It said Kumuka holidays, which traded all over the world, is ATOL protected for customers who book and pay in the UK. Passengers should contact the CAA. The CAA could not say how many forward bookings there were but added that the operator was only licensed to sell 500 ATOL-protected holidays annually. Nestled in the heart of the Malay Archipelago, Borneo is the world's third largest island. Ancient tropical rainforests, home to an extraordinary array of wildlife - proboscis monkeys, sun bears, macaques, hornbills, crocodiles, endangered Bornean pygmy elephants and orang-utans. A remote Rudyard Kipling-esque land of river systems abutted by thick rainforest and extensive wildlife all interlinked. To understand more about what you may encounter and experience may we suggest you read this recent article written by UK based journalist Amy Watkins. Click here to view. Should you need yet further inducement to experience this fascinating part of the world, much rarely visited by outsiders, join any Orion II Borneo voyage in 2012 and two travel for the price of one! Select from a range of 10 night voyages with 5 varying itineraries to suit your preference for wildlife, remote cultural interaction or the marine ecosystems of the Coral Triangle. This is a strictly limited offer and you must act quickly to secure a cabin – the 2 for 1 offer is valid for Category A and Junior Suites only. 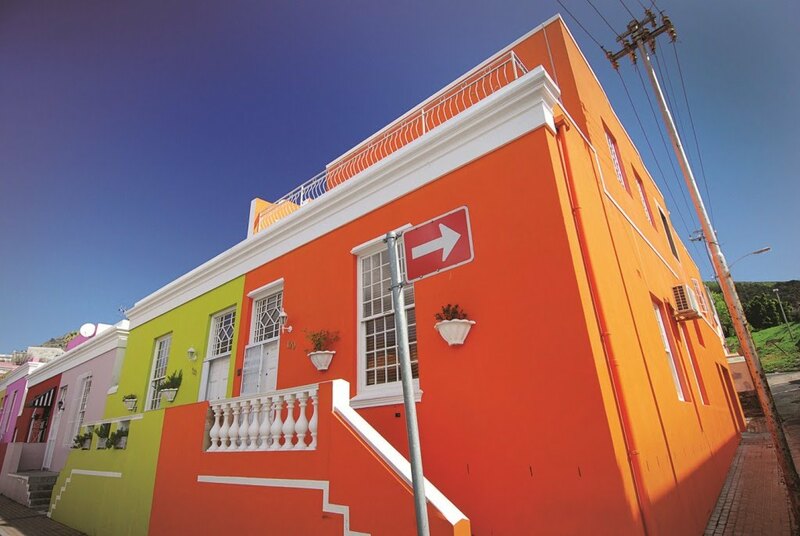 Guests wishing to secure a higher category of accommodation will receive 25% savings. PLUS for solo travellers: No single supplement surcharge! Never to be repeated offers for expedition travellers seeking rewarding cultural interaction and intellectual stimulation unknown in mainstream cruising. Don't miss out - limited availability. Fares from $4,750*. Click here for more details. Need help with flights and/or hotel accommodation? Our Concierge service can assist. 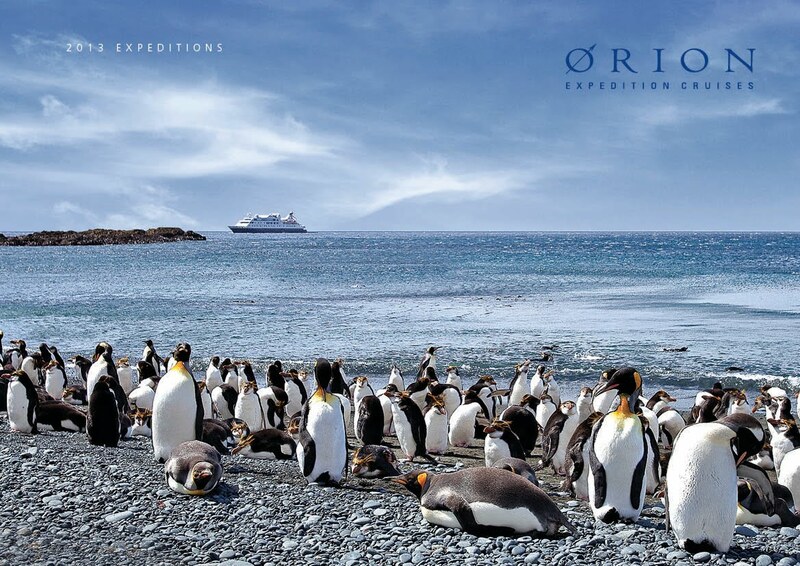 For more information or to book, please contact our Reservations Team on (AU) 1300 361 012, (NZ) 0800 444 462, (Int'l) +61 2 9033 8777, email info@orionexpeditions.com or contact your travel agent. This special "2 for 1" offer includes all applicable savings. Valid for Category A and Junior Suites only. This applies to new bookings only. Subject to all normal booking terms & conditions. Current passport with six months validity is required. 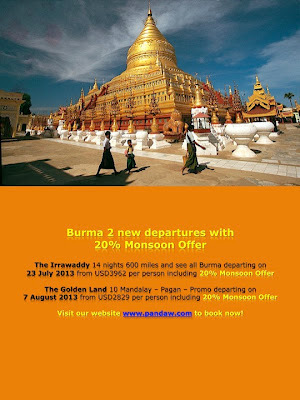 Offer for sailings departing 25 July 2012 - 22 October 2012. *Fare includes all meals and accommodation, entertainment, educational programmes, port taxes, gratuities and use of ship's sporting equipment and facilities. Fares are per person in Australian Dollars. Itineraries are subject to tides, weather and Government regulations and may be changed without notice. New to the American Safari Cruises fleet of upscale yachts, the refurbished 86-guest Safari Endeavour spends its first winter sailing Luxury Adventure cruises in Mexico's Sea of Cortés. Travellers interested in an Un-Cruise Adventure—up close access to nature and wildlife and exclusive excursions—may choose a warm water adventure exploring this UNESCO World Heritage Site & Biosphere Reserve. Weeklong Baja's Bounty expeditions sail roundtrip from La Paz, Baja, Mexico from November through April 2013. As an added incentive, guests booking by September 30, 2012 earn a US$316 travel credit per couple for travel through April 2013. "The stunning desert landscape and rich marine life are the perfect backdrop for an un-cruise adventure," said Tim Jacox, executive vice president of sales and marketing. "We're able to navigate into small coves and access islands inaccessible to larger boats." An unstructured itinerary explores hideaways such as Isla Espíritu Santo, Isla San Francisco, Bahia Agua Verde, Los Islotes and Loreto. Labelled the "Aquarium of the World' by Jacques Cousteau, the relatively unknown Sea of Cortés rivals the pristine environment and geo- and biological diversity of the world-renowned Galapagos Islands. Flexible itineraries spend time seeking out dolphins and blue, fin, sei, orca and sperm whales. At Los Islotes, guests enjoy a once-in-a-lifetime adventure snorkelling with playful, young sea lions. Guests can be as active as they like and activities include hiking, kayaking, paddle boarding, snorkelling and skiff excursions. A swim step and kayak launch platform on the stern of the vessel serves as the hub for guests embarking on water-borne adventures. Expert naturalists provide interpretation on guided excursions ashore and at sea. During a port call in the historic mission town of Loreto, guests may join an included walking tour of the picturesque village exploring the historical buildings, mission, shops and plazas. Those interested in seeing gray whales may take an optional tour to lagoons on the Pacific side where the whales congregate seasonally. Ashore, guided hikes explore forests of giant Cardón cactuses, traverse island ridges with sweeping views and head inland to explore scenic desert landscapes. Depending on whim, weather and the moon's cycle, guests may partake in an evening barbecue ashore at Bahia Agua Verde, swim in a bay filled with bioluminescence, enjoy a late night snorkel under the stars and visit with local fishermen on Isla Coyote, a remote inhabited island. Cruise fares start at $3,153 in the Sea of Cortés based on double occupancy. Transfers are included from either Los Cabos or La Paz airports. The inclusive cruise includes all from-the-yacht activities and equipment; a massage, exquisite meals; fine wine, premium spirits and microbrews; and all port charges, taxes and fees. An all-American crew has a guest-crew ratio of 2.5 to 1. Yachts can be booked as a private charter or by individual stateroom. To book a yachting adventure or to request additional information, contact Small Ship Adventure Company on 1 300 650 481 or visit smallshipadventure.com. Aurora Expeditions are offering three new 11-day voyages to the Kimberley Coast taking in the spectacular coast between Darwin and Broome and vice versa aboard the newly refurbished Coral Princess. The three spectacular voyages will take passengers all the way along the top end, with a special new cultural stop at Wijingarra bard bard to meet the local artists. They will be welcomed by a smoking ceremony, followed by the opportunity to watch the experts at work and purchase some world class Aboriginal art. Passengers will travel onboard Coral Princess, a 35-metre luxury catamaran for just 44 guests. Aurora Expeditions' most experienced expedition staff and crew will include expedition leader; Mike Cusack, Dr. Garry Darby; art historian, lecturer and author of aboriginal art as well as naturalist Chris Done, who lectures on the regions' plants, wildlife and geology. Aurora Expeditions believe the only way to experience the remote Kimberley coast is by small ship; allowing passengers to discover gorges carved by rivers, tiny islands with abundant bird and marine life, thundering cascades, boab trees and ancient Aboriginal art. Aurora Expeditions is renowned for travelling to wild and remote areas of the world, with the aim of creating lifelong ambassadors to the environment. They attract small groups of like-minded, enthusiastic people, passionate about the Kimberley's plants, wildlife and history. Prices start from A$7190 per person twin share. A 10% earlybird offer is applicable for the first 10 bookings for each departure, made before 31 July 2012. Terms and conditions apply. For more information and to order your free Kimberley Coast 2013 brochure, visit www.auroraexpeditions.com.au or call +61 2 9252 1033. 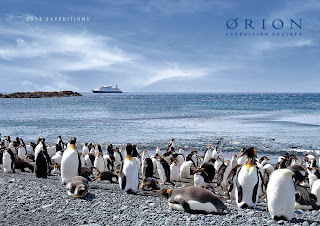 Aurora Expeditions is an Australian-owned adventure company specialising in expedition cruises to wild and remote places. Always travelling in small groups, Aurora Expeditions provide their travellers with the chance to have an intimate experience in these regions with their flexible, innovative itineraries. The aim of each voyage is to provide as many landings as possible, allowing passengers to experience the destination first hand. Each voyage is led by an expedition team of expert naturalists, geologists, historians, staff and crew who help to unlock the wonders of these special places. Deeply committed to education and preservation of the environment, Aurora Expeditions' philosophy is to respectfully visit wilderness areas in turn creating ambassadors for their protection. American Safari Cruises will base the refurbished 86-guest Safari Endeavour in Mexico’s Sea of Cortés this winter. The ship will operate weeklong voyages roundtrip from La Paz, Baja, Mexico, from November through April. Guests booking by Sept. 30 get a $300 travel credit per couple for travel through April. An unstructured itinerary explores hideaways such as Isla Espíritu Santo, Isla San Francisco, Bahia Agua Verde, Los Islotes and Loreto. Flexible itineraries seek out dolphins and blue, fin, sei, orca and sperm whales. At Los Islotes, guests can snorkel among sea lions. 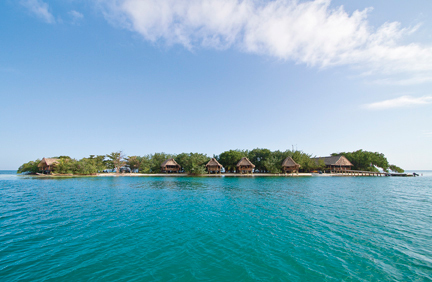 Activities include hiking, kayaking, paddle boarding, snorkeling and skiff excursions. The vessel has a swim step and kayak launch platform on the stern of the vessel. Cruise fares start at $2,995 per person, based on double occupancy. Transfers are included from either Los Cabos or La Paz airports. The inclusive cruise includes all from-the-yacht activities and equipment; a massage; fine wine, premium spirits and microbrews; and all port charges, taxes and fees. Fire broke out Friday on a river cruise ship sailing the Rhine, necessitating the evacuation of more than 100 elderly passengers and about 30 crewmembers, according to a report from Seatrade Insider. All passengers were checked by a physician; 10 complained of smoke inhalation, and four were taken to a local hospital. Remaining passengers were initially put up at a hotel in Dusseldorf, and all -- except one woman who suffered an asthma attack and will return on Sunday -- are now back in the U.K., according to Saga representative Paul Green. The fire began in the early-morning hours and took about three hours for a local fire brigade to extinguish, but its origin is somewhat unclear, with Seatrade stating it began in a storage room near the galley and Travel Weekly claiming it started in the engine room. Saga representatives were unable to comment on the official source of the fire, but they did tell Cruise Critic that all passengers will be issued full refunds and compensated for personal property damaged by smoke. The active travel company securing matches between adventure-seeking clients and a treasure trove of small expedition ships, AdventureSmith Explorations, announces savings of over $2,000 for bookings made by Aug. 1, 2012, on a new small ship cruise to Belize beginning in late December and including an optional pre-cruise extension to Guatemala. Seven-night, all-inclusive cruises on the 138-guest Yorktown include ample off-ship opportunities to snorkel the world’s second largest barrier reef, explore Maya ruins, hike the Cockscomb Jaguar Reserve with a naturalist guide, and relax on Laughing Bird and South Water Cayes. There is also an optional extension to Tikal and Xunantunich, Guatemala. Excursions are enriched by naturalists, Mayanists, archaeologists and scientists who lecture on board. Guests are assisted on and off ship by the seasoned Travel Dynamics International tour staff that specializes in escorted study groups around the world. Cocktail receptions, baggage handling and transfers and gratuities to porters, guides and drivers are all included in the fee offering savings from $1,600 to $2,200 per cabin if booked by Aug. 1. Per person, after-discount rates begin at $3,795. The Belize Barrier Reef is known to support 70 species of hard coral, 36 species of soft coral, 500 species of fish and hundreds of species of invertebrates. At Great Blue Hole, a 1,000-foot circular coral rim, the clear water reveals underwater stalactites and sea creatures. Birders will delight in red-footed boobies, magnificent frigate birds, motmots, trogons, great green macaws, parrots and toucans. Active travelers enjoy swimming, snorkeling and kayaking. The ship was built to maneuver in and out of small bays and cayes that are inaccessible to larger cruise liners. A spacious lounge, dining room, sun deck, swimming platform and Internet access compliment comfortable cabin accommodations. LE SOLÉAL joins the vessels of Compagnie du Ponant in July 2013. The streamlined silhouette, refined design, attentive service and gastronomic cuisine are a welcome to the water. Compagnie du Ponant's loyal clients will appreciate all the elements that have forged the reputation of L'AUSTRAL and LE BORÉAL: the very essence of yacht cruising. Far from the usual itineraries of Compagnie du Ponant, the yacht will cruise from Iceland to Spitsbergen, from Greenland to Baffin Bay, from the mythical Northwest Passage to the unspoiled coastlines of the Russian Far East. 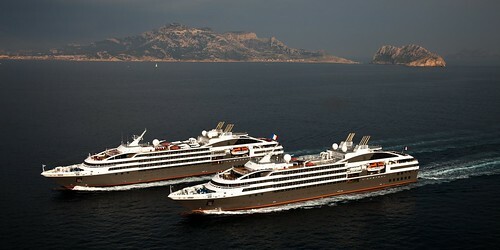 LE SOLÉAL combines small capacity, luxury and state of-the-art technology to the Compagnie du Ponant flotilla. 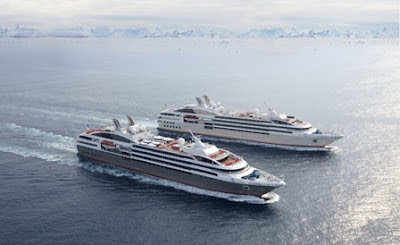 With over ten years experience in the Arctic, Compagnie du Ponant holds the number one position for Antarctic cruises. The three cruise yachts in the flotilla have all been designed and built for polar cruises. The company places safety and the preservation of the environment at the heart of its priorities. Like LE BORÉAL and L'AUSTRAL, the interior of LE SOLÉAL has been designed by Jean-Philippe Nuel, working in close collaboration with Véronique Saadé. The contemporary and warm atmosphere has been created through the combination of materials, fluid lines and gentle colour palettes which discreetly reference an updated nautical theme. LE SOLÉAL embodies a side of French style-elegance with a refreshing modern element. The service abroad LE SOLÉAL places an emphasis on the sea. The discreet but attentive service and excellent cuisine are naturally one of the main elements of the trademark Compagnie du Ponant philosophy. Deck 6 of LE SOLÉAL delivers exclusive service for the thirteen suites. A butler provides personalised service every day. The onboard cuisine of LE SOLÉAL is primarily inspired by the flavours and product of the French regions. LE SOLÉAL's spa is designed to offer maximum relaxation on an intimate scale. The spa works in partnership with the famous French Skincare Company SOTHYS™. The spa offers a selection of expert treatments for face and body. The wellbeing area of LE SOLÉAL also offers a fitness room with the latest generation of Technogym machines and the famous Kinesis Wall. Cruise Weekly readers don’t need to be told the benefits of a cruising holiday. Travelling for a week or more without the hassles of check-ins and -outs, packing and unpacking and the stress of tight connections are all avoided, plus you have the advantage of the scenery and attractions coming to you. Australian cruise fans are well known for their love of the ocean voyage - maybe something to do with how our forebears arrived here? That enthusiasm for fun and enrichment afloat extends beyond the high seas to the tranquil inland waters of the world’s rivers and Aussies are river cruising like never before. Leading the charge is home-grown hero, Glen Moroney, of Scenic Tours whose opulent, company-owned vessels are multiplying on the European waterways in particular. 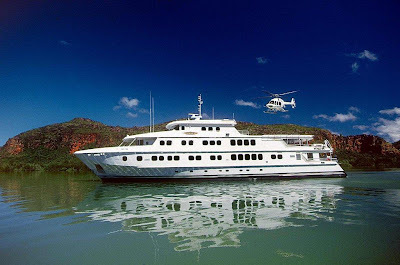 The latest, Scenic Crystal, was launched in May and has already featured on TV shows including Nine’s Getaway. 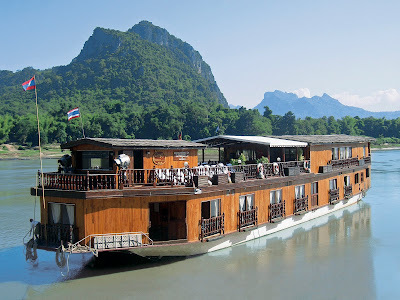 While the signature voyage for all major operators is clearly Amsterdam to Budapest along the Danube, Scenic Tours have also launched the first new registration for Russian rivers in over 25 years with their totally refurbished, 112-guest Scenic Tsar, which will ply the Volga between St. Petersburg and Moscow. Down south in the Ukraine, Viking Cruises offer the River Dnieper that leads to the Black Sea from Kiev, via Sevastopol and Yalta. So you’ve ticked off Danube and Rhine, what other rivers make up the inland cruising ‘world tour? 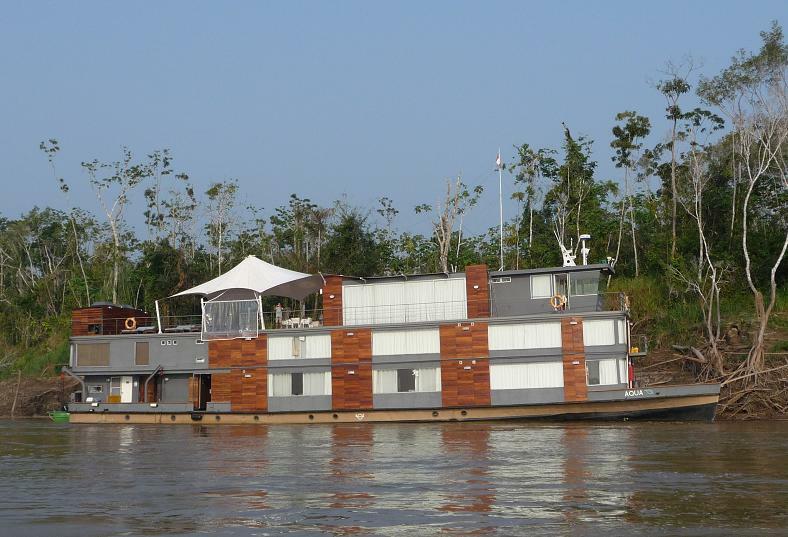 Amazon: Operating out of Iquitos in Peru, Aqua Expeditions and Delfin are slugging it out on the Upper Amazon with itineraries of up to a week. Nile: Some mixed advice about this iconic waterway in light of unrest in Egypt. Proceed with caution. Mekong: Another destination on a rocket with new vessels appearing annually. The (lower) itinerary runs between the Delta and Siem Reap, but often supplemented by road transfers in the low water months. Cruiseco launch their new Adventurer in late October following other newbuilds from Pandaw and Heritage Cruise Line. Murray: Let’s not forget our own historic river which will feature Captain Cook Cruises’ PS Murray Princess running a second 7-night Mannum to Renmark itinerary to take advantage of perfect river conditions. Ganges and Brahmaputra: These Indian rivers are a whole world away from the crush of normal tourism on the sub-continent; basic but authentic. Ask Active Travel. 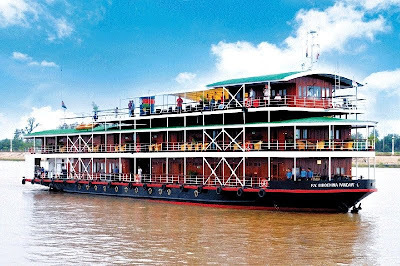 Irrawaddy and Chindwin: All eyes are on Burma these days and tourism is finally taking off with quality itineraries from experienced operators, Pandaw and Orient Express. Myanmar is now! Yangtze: China’s massive Yangtze is more navigable since the massive Three Gorges Dam. See Uniworld and Helen Wongs Tours. 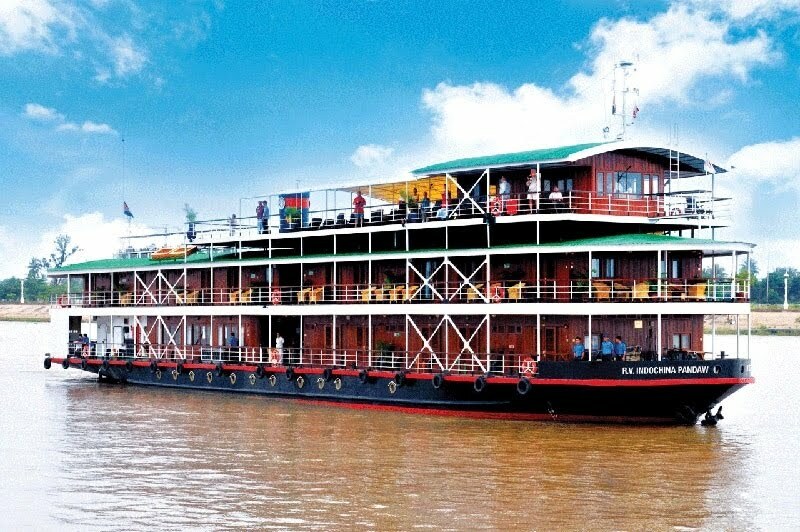 Congo, Chobe and Zambezi: If you’re looking for something a bit edgy, sub-Saharan African rivers are beginning to feature with the recent (2009) addition of AmaWaterway’s boutique Zambezi Queen. 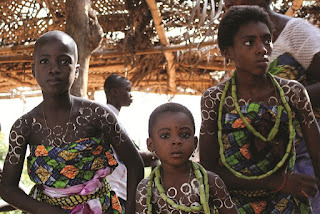 People have been exchanging customs and ideas in Western Africa as long as there have been people. Now, it's your turn. From the M/S Expedition, you'll get the chance to explore one of Africa's most vibrant (and curiously underexplored) regions from a hotel that goes wherever you do. A solid combo of activity and leisure, you'll have ample time to spot rare birds and endemic wildlife with skilled naturalists, mingle in local markets, and learn about the region from our experienced expedition staff, including naturalists, historians, anthropologists, and ornithologists. While at sea we'll also enjoy South African wine tastings from our sommelier and enjoy daily lectures from our experts. They'll be time to relax on deck, in the well-stocked library or lounges, or meet up with new friends to discuss the day's events in the ship's pub. Africa by sea? We didn't believe it was possible either. § Twin Share Hotel (2 nights), Quad, triple, twin-share cabins, or suites (all with en suite bathrooms and porthole or window) (24 nts). Please note that all cabins consist of twin-sized berths and are ocean-facing. Suites have one queen size bed. § M/S Expedition, Bus, and Zodiac. § 10:1 = Guest/Expedition staff ratio. People have been exchanging customs and ideas in Western Africa as long as there have been people. Now, it's your turn. From the M/S Expedition, you'll get the chance to explore one of Africa's most vibrant (and curiously underexplored) regions from a hotel that goes wherever you do. A solid combo of activity and leisure, you'll have ample time to spot rare birds and endemic wildlife with skilled naturalists, mingle in local markets, and learn about the region from our experienced expedition staff, including naturalists, historians, anthropologists, and ornithologists. While at sea we'll also enjoy South African wine tastings from our sommelier and enjoy daily lectures from our experts. They'll be time to relax on deck, in the well-stocked library or lounges, or meet up with new friends to discuss the day's events in the ship's pub. West Africa by sea? We didn't believe it was possible either. § Twin Share Hotel (2 nights), MS Expedition cabins, or suites (all with en suite bathrooms and porthole or window) (24 nts). Please note that all cabins consist of twin-sized berths and are ocean-facing. Suites have one queen size bed. Voyages of Discovery’s new ship, the 540-passenger Voyager, will join the fleet in December and then embark on its inaugural journey to South America. The ship will undergo final refurbishments in Portland Port, U.K., beginning on Nov. 1, in advance of its Dec. 4 maiden voyage. The ship, formerly the Alexander von Humboldt, was purchased by All Leisure Group in 2009 and has already received technical upgrades and more balcony staterooms. Voyager will become the second ship in the fleet, joining the 650-guest Discovery, which will undergo extensive refurbishment prior to returning to service in March. Voyager will feature 270 staterooms, of which 87 percent are outside accommodations. Thirty have balconies. The ship will feature open seating dining in two restaurants, plus an intimate pre-bookable specialty restaurant, The Explorer Club, at no extra charge. Other new additions to Voyager include an explorer theme to reinforce the brand’s destination-led cruises, a classic piano bar, a terrace with an all-weather dining area, digital media players in each stateroom so guests can view films, new artwork and upgraded furnishings in public spaces, a refurbished library and selection of reference books, and a bridge club that can also be used for guest speakers. The inaugural 17-day sailing departs Dec. 4 from London (Portsmouth) to Barbados. Cruise-only fares begin at $1,699 per person, double occupancy. After a 16-day “Caribbean Gems” holiday cruise on Dec. 20, Voyager departs on a series of South American itineraries that include Panama Canal transits. The 20-day Feb. 6 “Natural Wonders of Latin America” itinerary, for example, includes Chilean fjords, wildlife on Peninsula Valdes, the glacial landscapes and the cities of Santiago and Buenos Aires. Fares in remaining stateroom categories begin at $3,299. The Wild Scotland 2012 adventure surpassed my wildest expectations! Sure, several of the places we visited are popular tourist destinations, accessible by local commercial travel choices. However, there's so much more to be gained by an all inclusive, extended Aurora adventure to the enchanted Scottish isles. Many of the stops were to remote and uninhabited islands. Stunning Hebridean scenery could be seen from the bridge in between the 2-3 landings per day (thanks to the Polar Pioneer open bridge policy). At £300 for a day trip to St Kilda alone, I doubt there could be any economical advantage to doing it on your own. The morning in one of the "most wild" places in Scotland was unforgettable. "Most wild" because signs of human habitation have yet to be found. I'll never forget a magical, sunny day at Rubn'an Dunain, a site with Neolithic, Iron Age and Viking remains. Scenes of humanity through the millenia and how life in these ancient civilizations was so vividly brought to life, thanks to Carol, our onboard resident archeologist. My thought at the end of each day was, "..how could tomorrow possibly come close to topping this incredible day!?" But, it did! The knowledge and experience of the expedition staff showed in their professionalism, care and attention to passenger needs. A great team! Life aboard Polar Pioneer was comfortable, though most of the time it was back to the ship in time to eat or sleep. Meals were excellent, family style, simple and wholesomely gourmet. Fellow shipmates, strangers from all corners of the globe, soon became freinds as our shared, extraordinary "Wild Scotland" adventure unfolded. The voyage of a lifetime! View a photographic account of Amy's voyage here! Romantics, old salts, and those looking for a different nautical experience can book 'sampler' sailing cruises on the replica clipper ship Star Flyer next year. Star Flyer will operate two four-night cruises in northern Europe: Amsterdam to Hamburg, and Hamburg to Ostend, Belgium. The May 5 off-the-beaten-track sailing from Amsterdam to Hamburg includes a seven-hour visit to the quaint German island of Helgoland, a tranquil car-free oasis known as a haven for seabirds, seals and sea lions and boasting colourful quayside cafes and a warm climate. The ship will also call at Den Helder and Texel in the northern Holland archipelago which are not often visited by big passenger ships. In 1795 Texel wrote itself into military history books as the only time a navy (Dutch) was defeated by an army on horseback (French). Discovering that the navy was frozen in the ice around Texel, the French rode up and demanded surrender. Not a shot was fired. The second sampler cruise departs Hamburg on August 24 2013 calling at Ijmuiden, a Roman era North Sea port in northern Holland, and also visits Den Helder/Text. Prices start at $1359 including port charges and all meals and entertainment on board. During the 2013 northern hemisphere summer of 2013 all three vessels of the Star Clippers tall ship fleet (the others are Royal Clipper and Star Clipper) will sail in Europe: the flagship Royal Clipper will be in the eastern and western Mediterranean; Star Clipper in the western Mediterranean and Aegean; and Star Flyer in the Baltic and southern Spain. 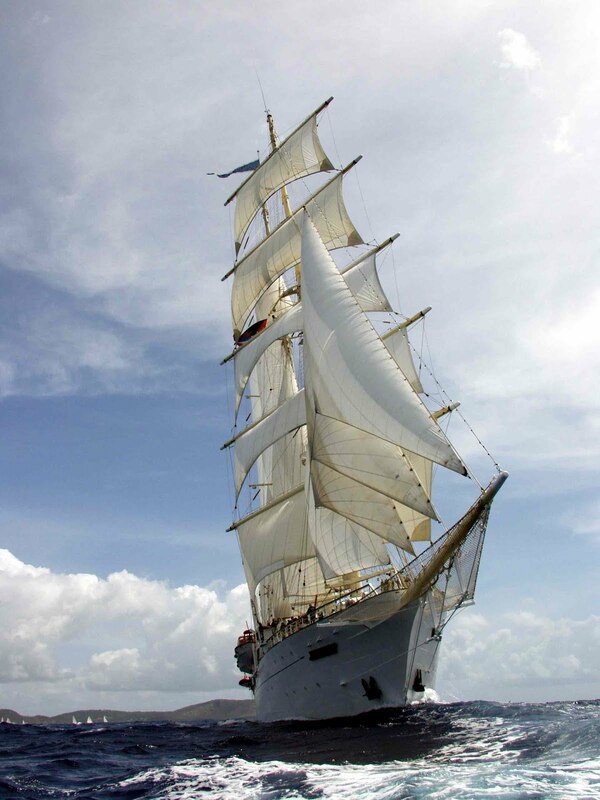 In the 2013 winter the fleet follows the sun -- Royal Clipper and Star Clipper sail the Caribbean, and Star Flyer explores the lush forested coastlines of Panama, Costa Rica and Nicaragua. North Star Cruises will pursue an international “rainbow tourism” strategy with Asia at the forefront, in order to expand its operations. The luxury carrier has relied almost exclusively on the domestic market for 25 years and general manager Peter Trembath admitted this aspect of the business made him nervous. Silhouette Cruises, one of the leading live-aboard operators in the Seychelles islands, has announced the launch of a new diving safari programme that will provide travellers with a unique opportunity to explore the archipelago's underwater world. This 7-night itinerary, hosted aboard the company's historic century-old schooners - SV Sea Shell and SV Sea Pearl - will bring guests to the best dive spots around the islands, opening up an array of possibilities to see tropical fish, turtles, rays, sharks and other marine life in unique granite reef habitats. The Seychelles inner-island archipelago rests on a plateau that broke off from the super-continent Gondwanaland millions of years ago, the islands themselves the remnants of a submerged granite mountain range. This unique geological phenomenon has created an underwater landscape unlike any other mid-ocean island destination - with large granite rock formations creating passages, overhangs and caves where marine life flourishes in abundance. While clients on Silhouette Cruises' weekly departures often enjoy diving as part of the cruise, the new diving safari has been designed to maximise both the variety and quality of the diving experience. Silhouette Cruises Executive Director Amit Wasserberg said: "Seychelles is a year-round diving destination and our weekly cruises are great options to make the most out of the diving opportunities available for each season," Wasserberg said. "But for our special diving safaris, we've selected only dates that coincide with the very best weather conditions. These periods offer great visibility but even more than that, they allow us to visit open-sea dive sites that are otherwise difficult to reach during other times of the year." In addition, a specialised diving tender with capacity for 12, accompanies the "mother vessel" throughout the entire cruise, offering a more comfortable experience when venturing to and from the dive sites. While diving may be the focus of the new cruise, Silhouette Cruises is also marketing the programme as a great option for couples who want to enjoy different things on the same holiday. In other words, a non-diving companion will be able to experience much of what makes Seychelles such an attractive destination - from some of the world's best beaches, to nature walks with unique flora and fauna, and water-sports like snorkelling and kayaking - while their partner is off enjoying their dives, all from the one unique platform of the vessel. Silhouette Cruises is a joint venture between Seychelles and international interests, founded in 1997 with a vision to introduce a new tourism concept. This combines the romance of sail with the charm of the world’s ultimate tropical islands: Seychelles. The successful introduction of SV Sea Shell was followed by the arrival of a sister ship, SV Sea Pearl, in 1999. With a desire to introduce the same concept onboard a more comfortable platform, SY Sea Star began operating in 2004, followed by SY Sea Bird in 2007. The company has recently expanded even further with the addition of a new expedition vessel, the MV Maya’s Dugong, which undertakes a variety of oceanographic research and monitoring missions, and is also available for select expeditions. Silhouette Cruises has established a strong base in the Indian Ocean with years of experience in successfully operating cruises for tourists. The company is committed to build upon this success and provide high standards of service in a responsible and sustainable manner, in co-existence with the natural eco-systems in which it operates. Windjammer Sailing Adventures has announced that its first voyage will depart July 22, departing round-trip from Grenada. The Mandalay, which formerly operated for now-defunct Windjammer Barefoot Cruises, will sail weekly, departing Sunday and returning Saturday, according to the company website. The cruises will visit “a selection of islands in the Grenadines,” including Grenada, Carriacou, Union Island, Mayreau, Tobago Cays, Bequia, St. Vincent and possibly others. “Remember, ports visited are subject to change ... we go where the captain and the winds take us!” the company website says. With demand for the Northern Lights higher than ever, Hurtigruten has launched its 2012/13 winter brochure, packed with dedicated Northern Lights itineraries. The northern winter just gone, saw some incredible Northern Lights sightings and next winter is expected to see similar solar activity, fuelling excitement from customers eager to catch a glimpse. The brochure contains all Hurtigruten’s winter product in one place and is eye catching, and an ideal tool for agents to help capture the increase in demand. Overall, prices lead in at just £744pp for a five-night ‘Voyage South’. · Captivating Astronomy voyage departures accompanied by expert lecturers. · Unique experiences on the Arctic adventure departures including a night in a Snow suite at the Kirkenes Snow Hotel. · Excursions to areas seldom seen by tourists on departures operating entirely within the Arctic Circle. · Dog Sledging and other exciting winter adventure activities available to add on selected departures. · Sail through the beautiful Vesteralen and Lofoten Islands and fascinating Seven Sister Mountains. Contact Discover the World Marketing for your copy of the Hurtigruten 2012/2013 Winter Brochure! Hurtigruten is a world leader in expedition cruising and is represented in Australia by Discover the World Marketing.